Welcome Home! This wonderful town home in the much sought after Village Green Condominium complex is just waiting for you. This 3 level END UNIT offers 1 assigned parking space, in-ground pool, low condo fees and is PET friendly. The main level offers a bright and sunny living room, kitchen, dining space and half bath. The 2nd floor offers 2 bedrooms and a full bath. There is a BONUS finished living space in the lower level with potential for a third bedroom, office, playroom or family room as well as extra closets for storage space plus laundry hookups. Outside the brick paver patio in the rear of the unit is fenced in for owners exclusive use. Plenty of guest parking and LOW Condo fee which includes- HEAT, HOT WATER, WATER/SEWER, EXTERIOR MAINTENANCE, LANDSCAPING, REFUSE REMOVAL, SNOW REMOVAL, AND POOL. 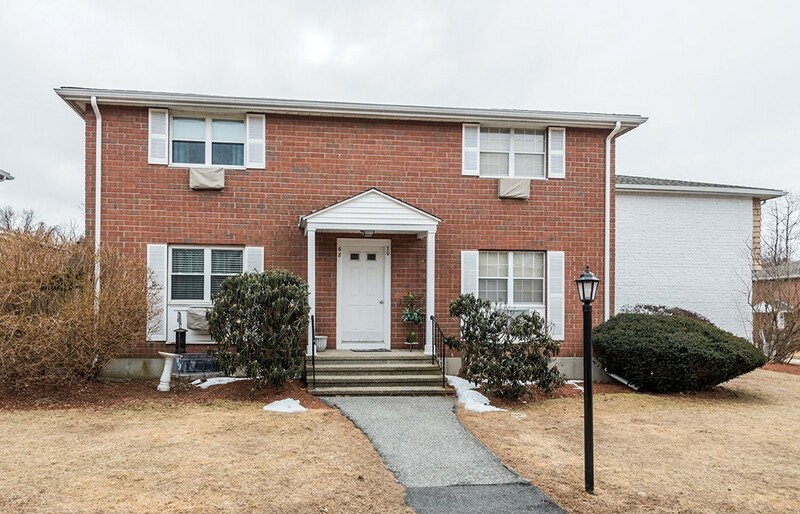 This prime location is convenient to public transportation, downtown, elementary and middle school, local highways, hiking trails, and Stevens Pond. Move-in condition!